When I first began hiking, I’d check off trails as if that indicated that I’d seen those places. While it did document that I had been at those locations, I later realized that I’d only grazed the surface. This is especially true of the Marinoni Scenic Area. 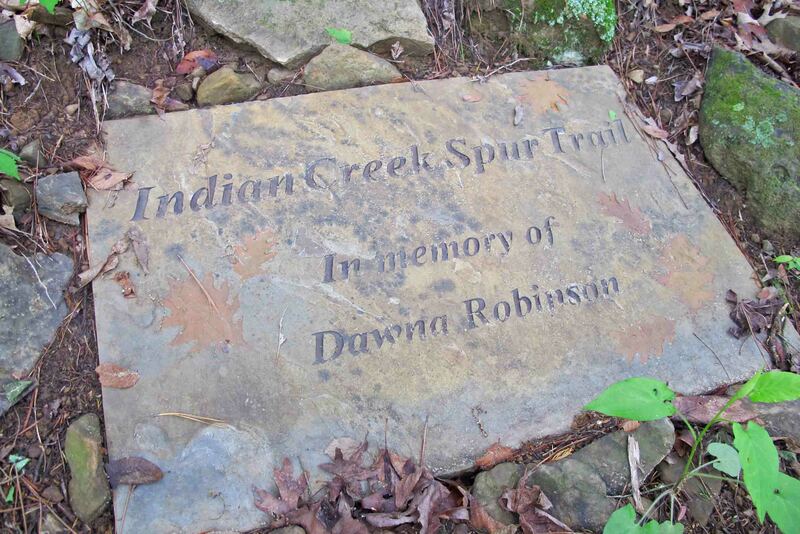 We entered on the Dawna Robinson Spur Trail that begins at the Indian Creek canoe parking area. Watch for traffic when crossing Hwy 215. We paused a moment to admire the memorial marker just a few steps up the trail. 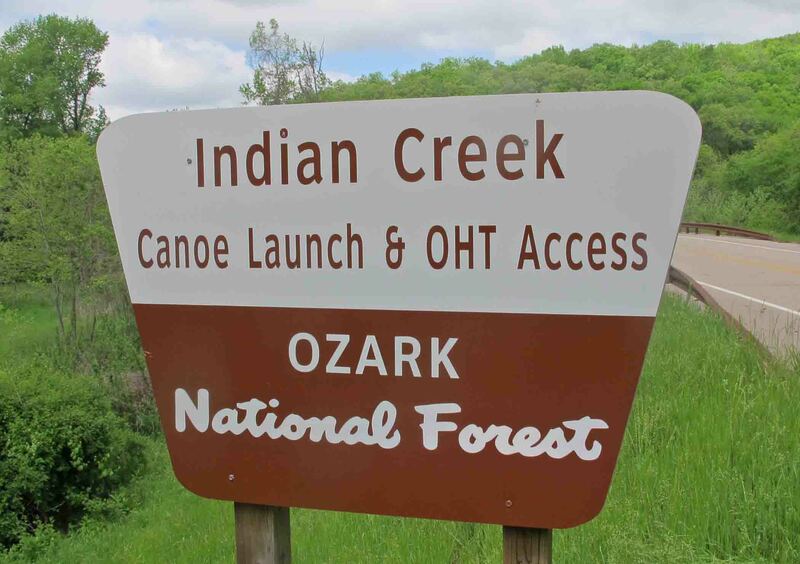 We were immediately impressed with the condition of the trail which is only about two years old, built by volunteers with the Ozark Highlands Trail Association. The switchbacks climbing up to the base of a bluff line are beautiful and you almost forget you’re climbing because of the steady grade. When we arrived at the top of the climb we began an easy walk through open woods. It was unseasonably cold with occasional rain. Our group of three included Robert who was visiting family in Missouri before returning home to Hawaii. 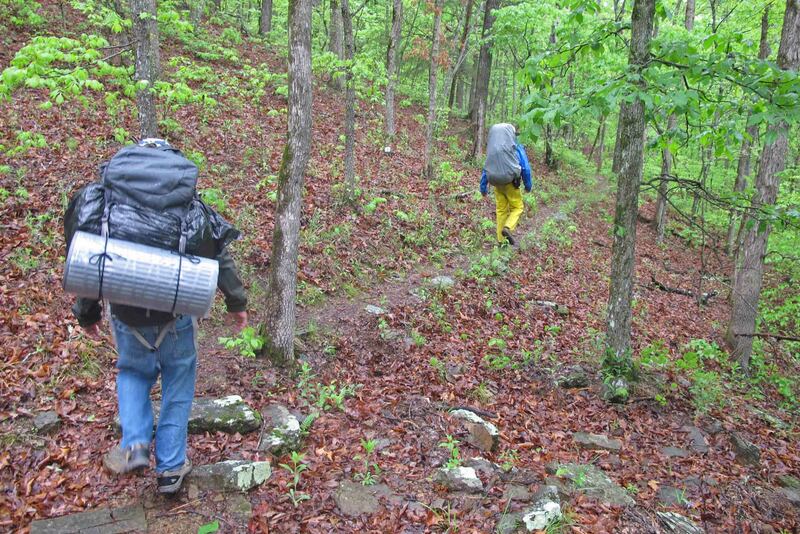 I wondered what his response would be to hiking in the Ozarks. 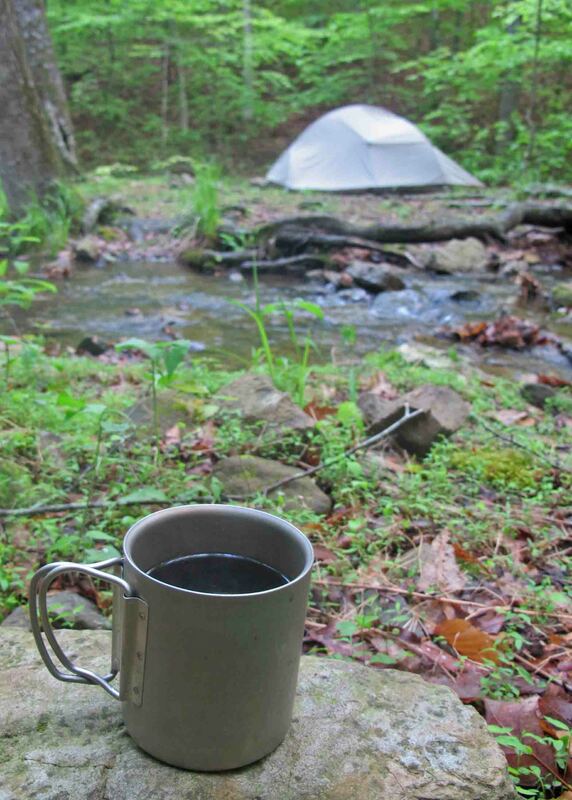 I was pleasantly surprised because he went on and on about the beauty of our little Ozark Mountains. He was not the least bit disappointed even though he’d hiked some beautiful areas in Hawaii. This was a short hike designed for novice backpackers with the hope for time to explore after making camp. With only a three mile hike in this hike definitely did not meet Bob’s miles driving to miles hiking ratio. The shorter distance did something nice for us though. It demanded that we slow down and enjoy the passing of scenery. 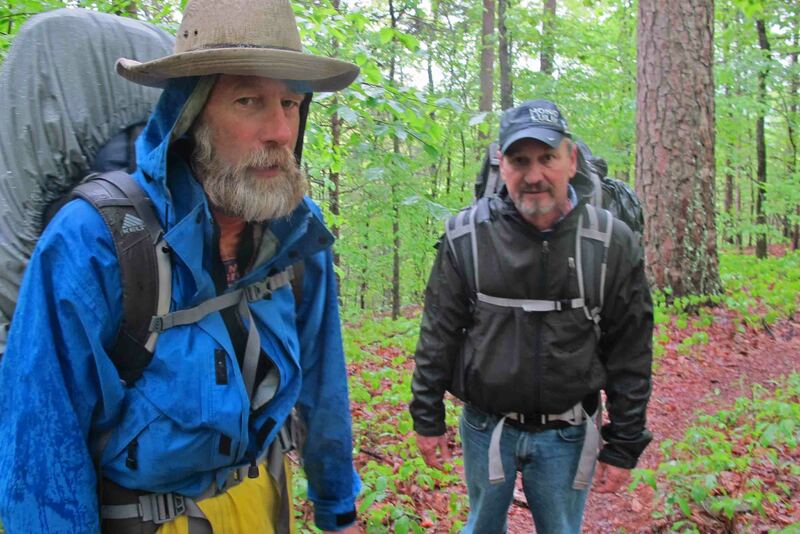 Robert was doing his first backpack trip and Bob’s nights backpacking numbered into the four digits but we all enjoyed learning from each other and sharing tips along the way. Having hiked through the Marinoni many times, I wanted the chance to camp there. This little spot looked better than a four-star hotel as we approached and pitched our tents. The Marinoni never disappoints! 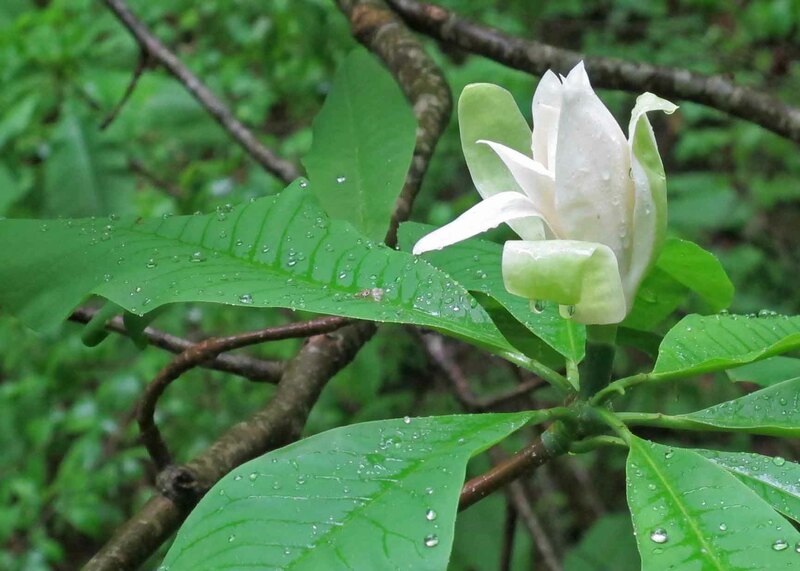 The soothing sounds of Briar Creek accompanied our walk along rocky bluffs and budding wildflowers. The moist day made it feel like a rain forest with clear water droplets hanging from every leaf. 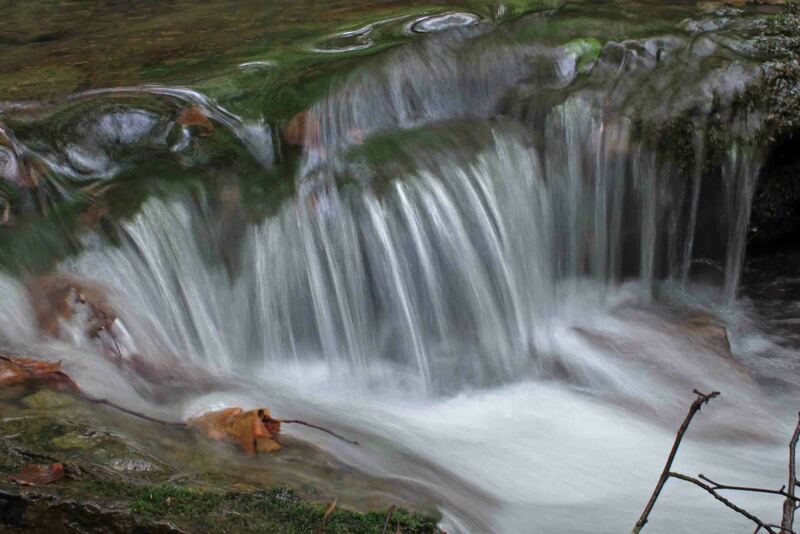 Cascades and waterfalls were flowing nicely. 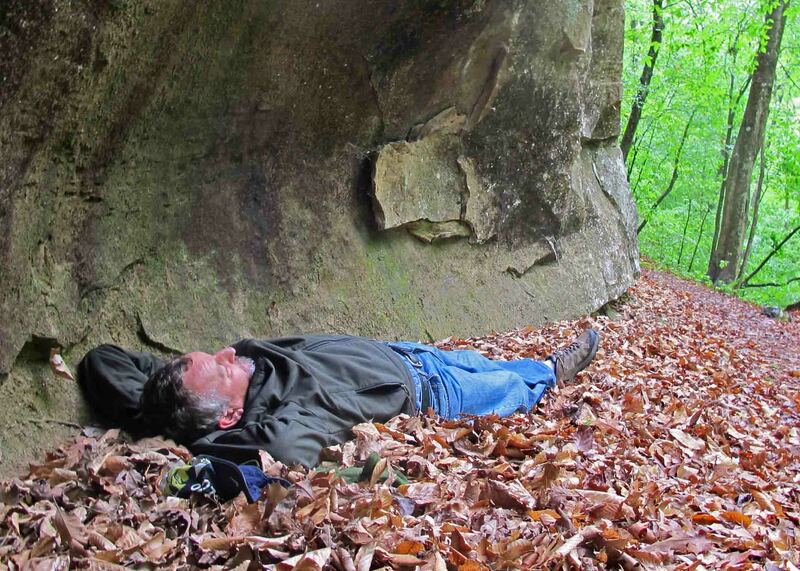 A trip highlight and something even four-star hotels can’t offer was a short afternoon nap in dry leaves under a bluff overhang accompanied by Briar Creek and song birds. I was worried that it might be difficult to sleep after napping but slept pretty much straight through from 7:00 p.m. to 7:00 a.m. This was some four-star sleep! During our hike out on Sunday morning I was already looking forward to my next visit to the Marinoni Scenic Area. No reservations required! 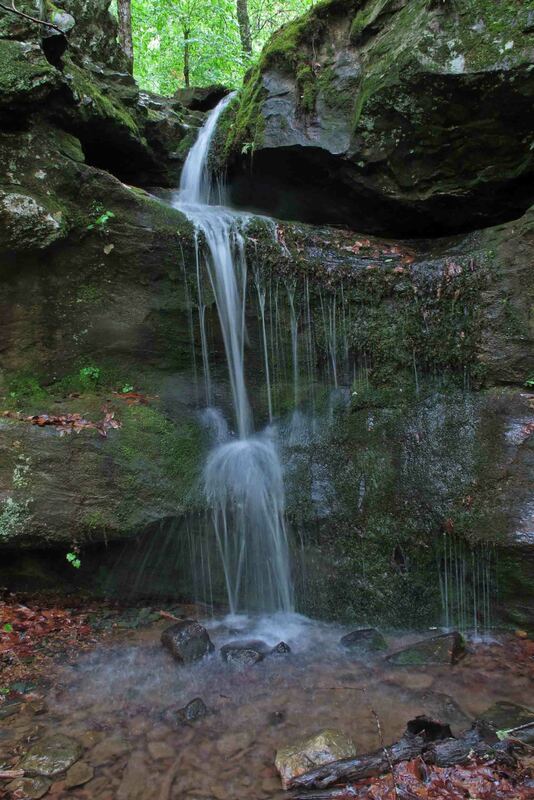 This entry was tagged cascades, Dawna Robinson Spur Trail, Making Time for Marinoni, Marinoni Scenic Area, Ozark Highlands Trail, Ozark Highlands Trail Association, waterfalls. Bookmark the permalink. Beautiful camp sight for sure. I always like it when we slow down and enjoy the scenery too.